Every Tuesday, the Glower Castle changes--maybe a longer hallway here or an entire tower there. At times, it even seems to have a mind of its own, spitting out traiterous spies or picking the next heir. Princess Celie loves trying to map its many changing halls and rooms. But one day, the news returns that the king and queen have gone missing and the Council takes it upon themselves to "advise" the three Glower children. Something seems wrong with the Councilors' plans, especially when foreign royalty barge it. 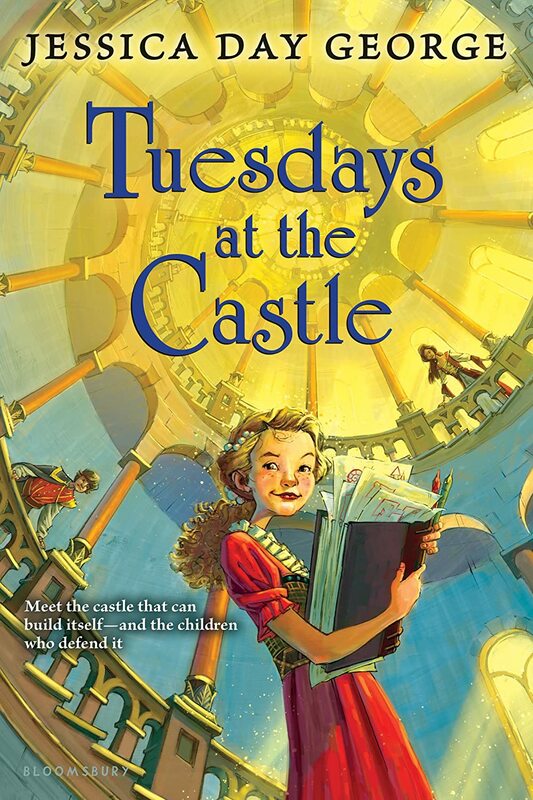 But can Celie work with her siblings--and with the castle itself--to find their parents and save the kingdom? This was an adorable fairy-tale-type of story that many young people would enjoy. The plot moved quickly, providing a lot of startling revelations and action-packed adventure that make it fun. However, there was some shallowness to the characters and predictability that might make it less popular with an older crowd of teens.